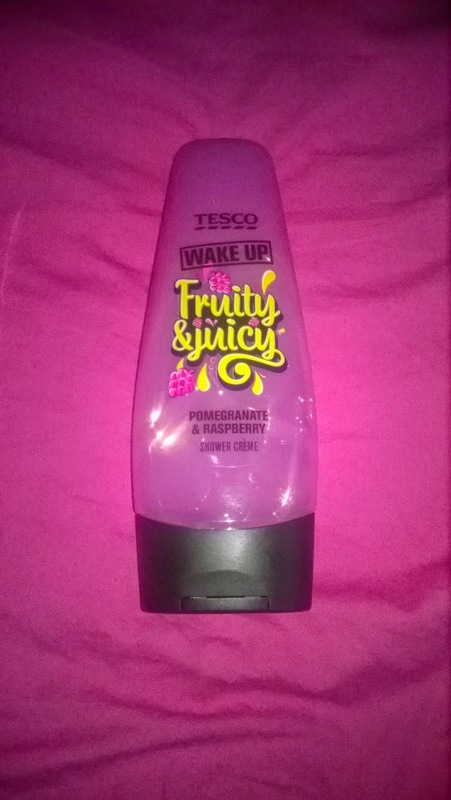 Tesco's wake up shower range has been repackaged and revamped with the following new scents Creamy Coconut, Zesty & Zingy and Rio Rio. We received the fruity and juicy pomegranate and raspberry shower creme. The scent is very uplifting, something I wouldn't of thought to add together to be totally honest. The consistency is just the right thickness and it leaves the skin feeling soft after use. The shower creme gives a great lather and gives a refreshing aroma and leaves you feeling fresh. Tesco’s My Senses bathing range has also been given a fresh new look and welcomes a brand new addition. Moisture Rich Rose & Lotus Flower Extracts. Caring and aromatherapy inspired, the range is now even better value for money with an increase in product size from 500ml to 750ml. We received the Rose & Lotus Flower to review. The bath creme gives off loads of bubbles so beware you only need a bit. I did put in quite a bit in then when I came back there was bubbles come off the side of the bath whoops! The scent is pretty mild, you just get a little hint of rose. 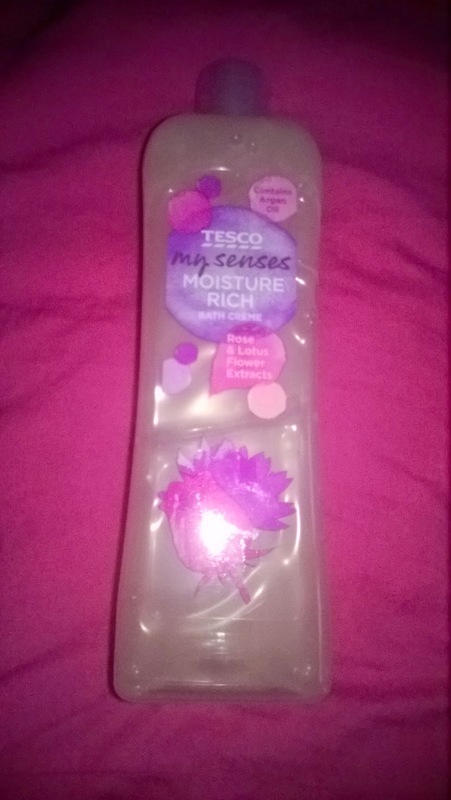 I liked there isn't a slimy residue left on your skin after use, I've had this a lot lately and it makes you feel like you haven't just had a bath. The bath creme leaves a little scent on your skin and very soft. The bath creme come sin the following scents, Nourished Skin Shea Butter & Almond Blossom, Moisture Rich Rose & Lotus Flower, Sensitive Skin Chamomile & Aloe Extracts, Stress Release Rosemary & Hibiscus Extracts, My Senses Sleep Therapy Lavender & Ylang Ylang Extracts. 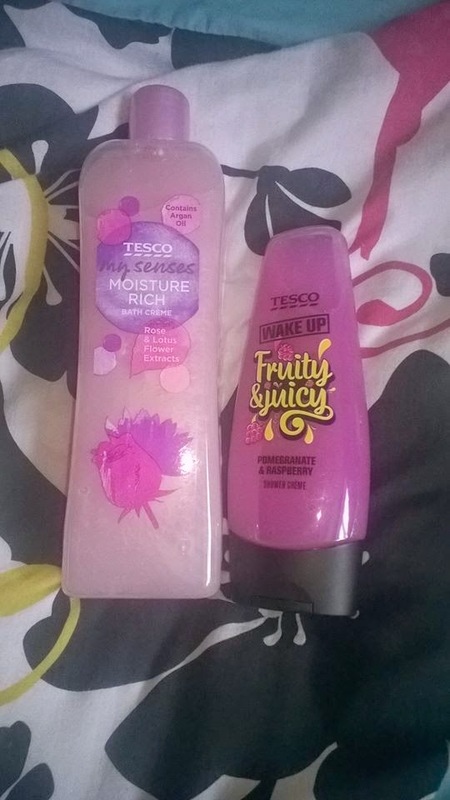 I loved both the bath creme and gel and its something I will pick up again. Finally something that doesn't break the bank, both the shower gel and bath creme are under a £1. So perfect for anyone's budget. The full range is available in store and online at www.tesco.com.